How to open a savings account in any Nigerian Bank. So you finally made up your mind to own a bank account, congratulations on your decision to join the civilized train. Running a bank account used to seem a big deal years back, but not anymore. Kids now own bank accounts, in fact bank accounts are now opened for unborn babies in anticipation of their arrival, which we must commend as it defines the parents preparedness to securing the child’s financial future. Adults as well have not been left out in this struggle, gone are the days when our grandparents hide their money in earthen pots or beneath the earth itself just to keep their monies out of prying eyes as well save for future use. Civilization has taken a great and commendable toll on the usual way of life in a modern world which Nigeria and Africa at large are not exempted. Owing a bank account in Nigeria does not involve a rocket science, it’s even easier these days that you can become an account owner subscribing via your cell phone these days using USSD code of an enabled bank. 1. Valid ID card, which could be permanent Voter’s card, National ID card, NIMS, International passport, Driver’s license and BVN at some cases. An ID card is said to be valid when it has not reached its expiring date, especially International passport and Driver’s license. 3. Two color passport photographs. 4. Completed savings account opening form: While filling this form you are expected to provide every necessary and detailed information as required in the form. As well sign appropriate columns. 5. You will be profiled on BVN portal as well, provided you didn’t have any. Note: You cannot have more than one BVN number, you’re expected to be profiled once, and this can be used for linking your accounts subsequently as you start operating accounts with other banks. 6. You must pay apt attention to your date of birth. The date of birth on your ID card is expected to match with that on your BVN, likewise the name on your ID card. Avoid scenarios where different names are being used on the account opening form other than what is obtainable on the BVN. Such mistakes can frustrate your effort and could discourage you from opening an account. 7. Upon successful submission your account should be ready within 24hrs. However some class of accounts may require circular ID cards other than those mentioned above, may as well not require utility bill. These class of accounts may not be classified as standard savings account. There are however minimum amount of funds that could be deposited into them. The thresholds are usually a bit small, but can serve account purpose. It’s however in your own interest to ask necessary questions before opening any account to enable you a sound knowledge of what you’re bargaining for. 1. Interests are being paid monthly, you could make reasonable returns from these interests monthly, and however I am not here to tell you which Nigerian bank has the highest interest rate on savings account. 2. It avails you the opportunity to save your money with the bank, your hard earned funds are very safe with the bank. 3. 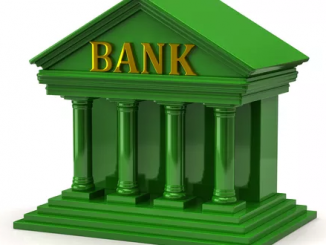 You can easily access loan with the bank should you require any since you’re an existing customer. Having a bank account in any Nigerian bank is very easy to come by, kindly walk to any bank of your choice with your documents handy and own an account. You can visit any Skye bank branch today or go to https://www.skyebankng.com to be a proud bank account owner.